The Canary Islands are a popular summer destination for many Europeans due to a combination of great weather, epic beaches, diverse landscapes, and low-cost flights available almost year-round. Today we’ll be focusing on Gran Canaria. And considering that it’s quite a big island (and we have a lot to write about), we divided the information into 2 parts: the North and the South in 2 different blog posts. In this one, we’ll be covering the northern part of the island. Subtropical. People say the weather in the Canary Islands is of an eternal spring, making it the best in the world. The average annual temperature is 24 degrees. We usually do the island crossing by ferry due to the cost being similar to commercial air travel, and because we don’t get the chance to be on a boat that often. There are 2 ferry operators making the connecting routes between island: Naviera Armas and Fred Olsen. Docks in the port of Las Palmas, where a transfer will take you to the city center in 10 minutes (no extra fees). Trip duration: 80 minutes for the ferry, and 25 minutes for the shuttle bus (no extra fees). The ferry docks in Agaete but a shuttle bus will take you to Las Palmas. Canaryfly and Binter have frequent flight connections between islands. Prices are reasonable — €20 on average — depending on the month. Airplanes land at Las Palmas Gran Canaria Airport, located 19 km from the capital Las Palmas or 30 km from Playa del Inglés in the south. To get anywhere on Gran Canaria you can hop on one of the blue buses (guaguas as locals call them) parked right outside the terminal. The ticket cost for Las Palmas is € 2.95 and for Playa del Inglés € 3.50. You can’t beat that! As a tourism-dependent island, there’s an array of accommodation options scattered all over Gran Canaria. Prices start at €12 a night in a hostel, up to €120 a night in a four-star hotel. In the north of the island, most are located near the beach of Las Canteras. We’ve stayed at hotel Pujol (pronounced Poo-whole). ? Vegueta is an old neighborhood with the best colonial architecture of the island. You can walk for hours on cobblestone streets, finding new alleys and admiring the historical houses from the 15th century. Right on the center is Santa Ana square and Cathedral. There’s a fee to go in, but don’t bother, the interior is a bit dull. We recommend instead spending your money at one of the many outdoor cafes in the area eating tapas and enjoying the sun. There’s a craft market every Sunday. Triana neighborhood — also one of the oldest in Las Palmas — has become the main shopping district of the city. Small old-timey shops, popular stores or fancy boutiques are always presented in beautifully restored buildings, making for a beautiful walk even to the most frugal. Vegueta Market is the first market ever built in the Canary Islands back in 1856. And today remains the spot where locals come to buy fresh produce. Tip: you’ll be tempted to buy some of the glorious tropical fruit displayed on the stalls. If you do, ask for the price beforehand as several vendors tend to overcharge tourists. A museum about the relationship between the Canary Island and the Americas. Location: Calle de Los Balcones, on the historic quarter of Vegueta. Admission fee: €4 (you can visit the building’s library for free). A museum about the prehispanic population and the history of the archipelago. Saturday and Sunday from 10:00 AM to 2:00 PM. Exhibition and activity center of contemporary art from the Canary Islands, Europe, Africa and the Americas. 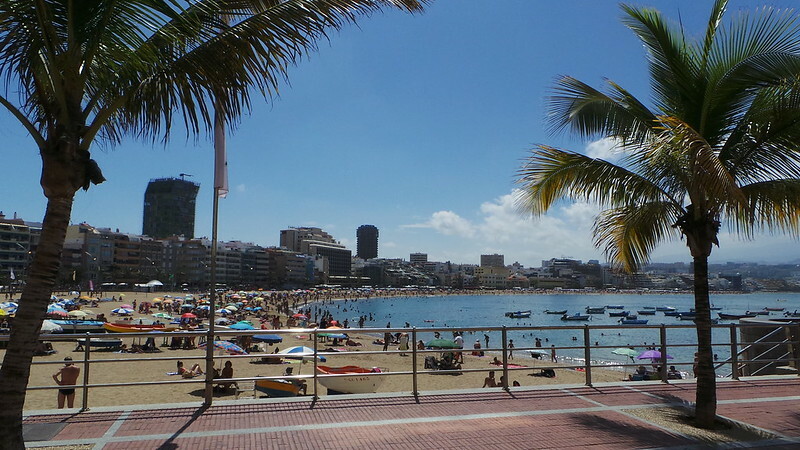 Las Canteras is the largest beach in Las Palmas, covering a 4 km slice of coast. Being located right by the city, it is the central hub for local life and the favorite spot for surfers and tourists. If you’re not up for an entire day just laying on the beach, you can hang out on one of the numerous cafes, restaurants, and shops in the wide promenade by the sand. Gui Gui is a secluded beach on the west side of the island (it’s actually two: small Gui Gui and big Gui Gui). Getting there means a 2.5-hour hike or a boat trip from the nearest town of Tasartico. The long walk to Gui Gui is worth it as the mountains and scenery along the way are just as impressive as the destination. The beach itself is an unspoiled paradise where you can spend the rest of the day and even spend the night (if you do so, take the appropriate gear as the nights get quite cold). Many hikers that come to Gui Gui and camp overnight say the night sky is breathtaking. A fishing village in Puerto de las Nieves, with one of the most picturesque landscapes on the island made of white and blue houses by the sea. Firgas is known as the “balcony of the Atlantic”, for having the best viewpoint on the ocean and the entire northern part of the island. 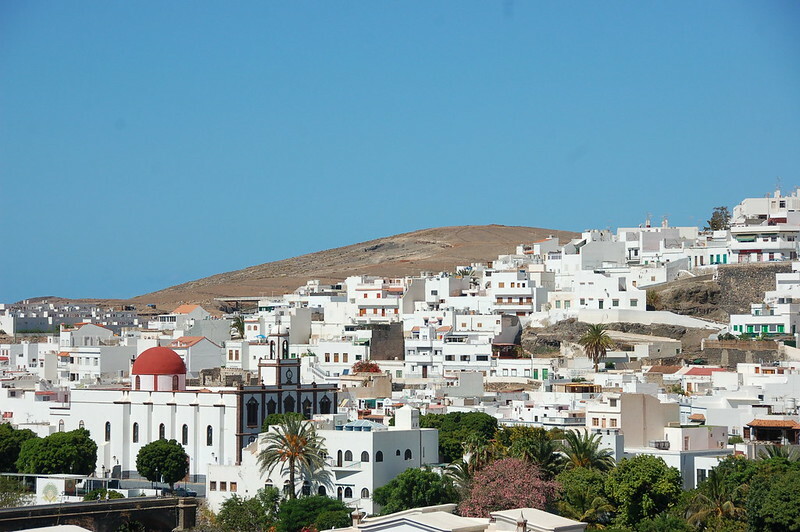 It is the highest city of the island and the perfect spot to rest from the beaches of the coast. 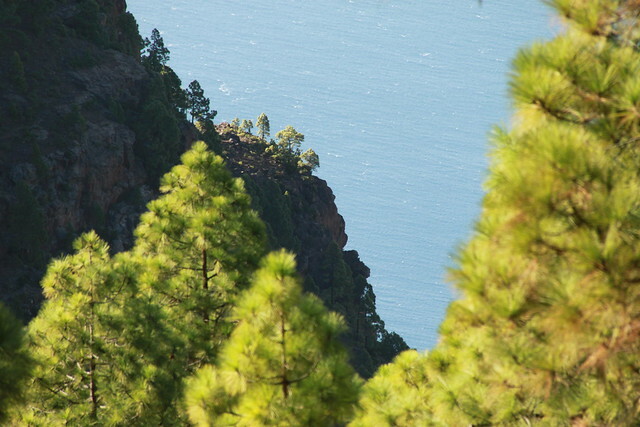 Close to Agaete, Artenara and San Nicolás de Tolentino is the Natural Park of Tamadaba. Here you’ll find the oldest and best-preserved pine forest on the island — classified by UNESCO as a Biosphere Reserve — extending from the summit of the mountain all the way to the west coast. 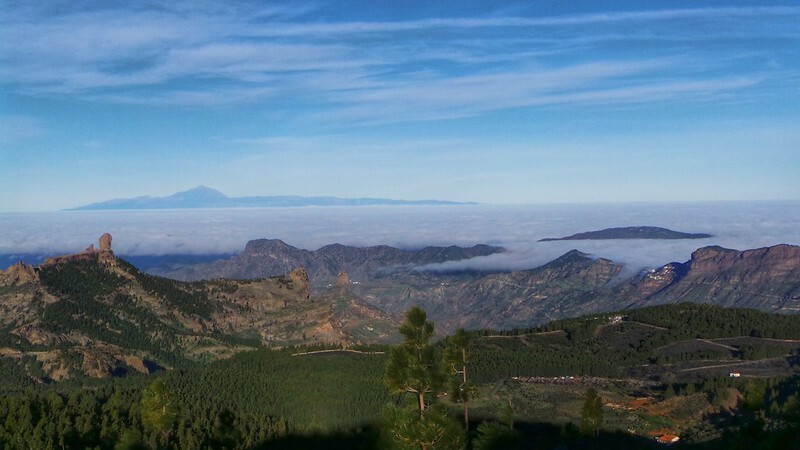 Along the park, you can expect some breathtaking views of the Atlantic and the Teide (all the way on Tenerife island), stunning valleys, and little old villages. ?‍♂️ Great hiking and walking site. From Las Palmas bus station, take the hourly Bus No. 102 to Agaete. In Agaete stop at El Lomo and follow the trail to Tamadaba. Right in the center of the island is the Rural Park del Nublo, a natural wonder also classified by UNESCO as a Biosphere Reserve. If you have any question or some extra info to add, let us know in the comments.